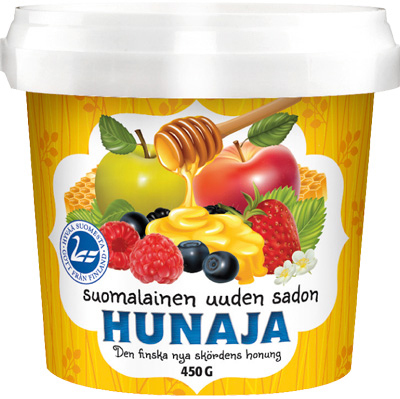 Finnish New Harvest honey is honey that is on sale for a limited period of time during late summer and early autumn. The honey is packed freshly extracted into tubs. In Finnish New Harvest honey, all of the good qualities of honey are at their freshest, and the delicious summer-flower aromas and flavours are at their strongest. New Harvest honey is sold in shops from the beginning of August until the end of October.